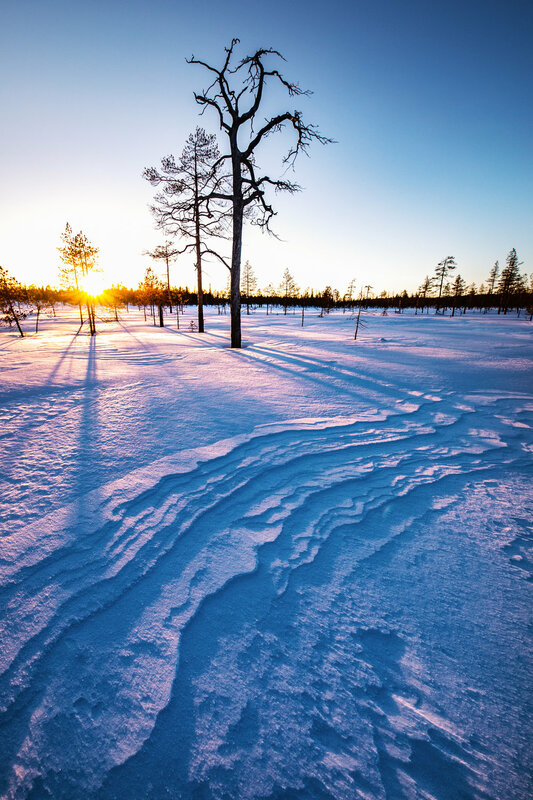 Join us for a week long experience in the heartlands of snowy trees in Forest-Lapland. 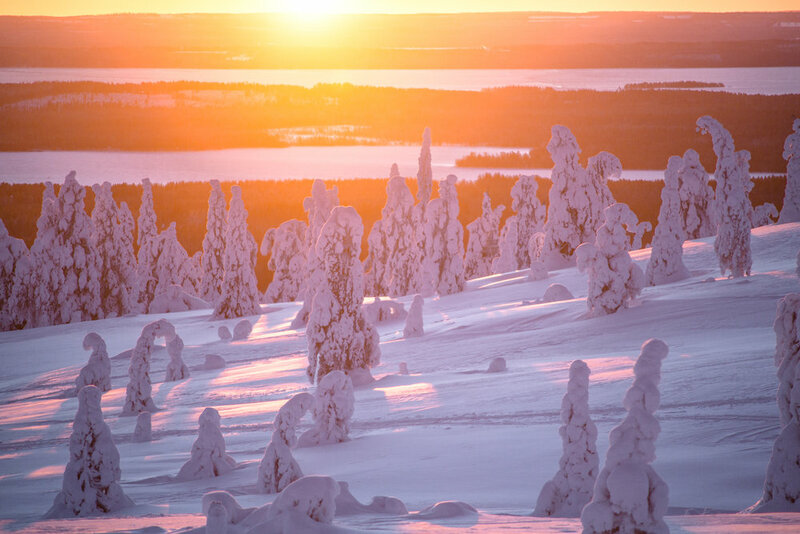 Taiga forests of Posio-Kuusamo area are known to have the thickest snow cover in Finland. Area is located between two seas, Bothnian bay and White sea. This provides the optimal conditions for snowfall in winter. 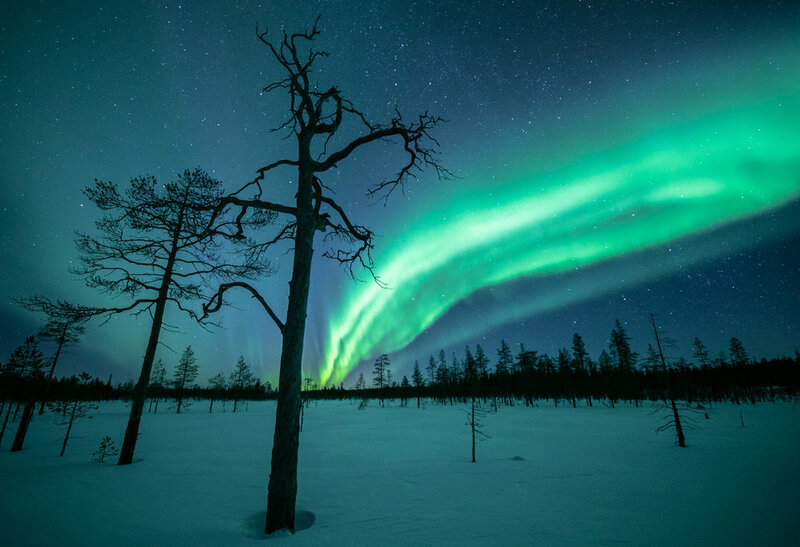 During our stay we visit several photographic areas of Forest Lapland and many places not known to most of the photographers visiting the area. Our guide Tiina is a local and has been photographing the area for 8 years now. During the trip we have snowmobiles and sleighs in our disposal throughout the stay. This gives us the access to the the many locations outside touristic attractions. In January low-shining sun paints the trees with tones of orange. During our stay sun shines only 4 hours between 10:00 and 14:00 which allows us to capture the daylight and tones of evening blue before dinner time. 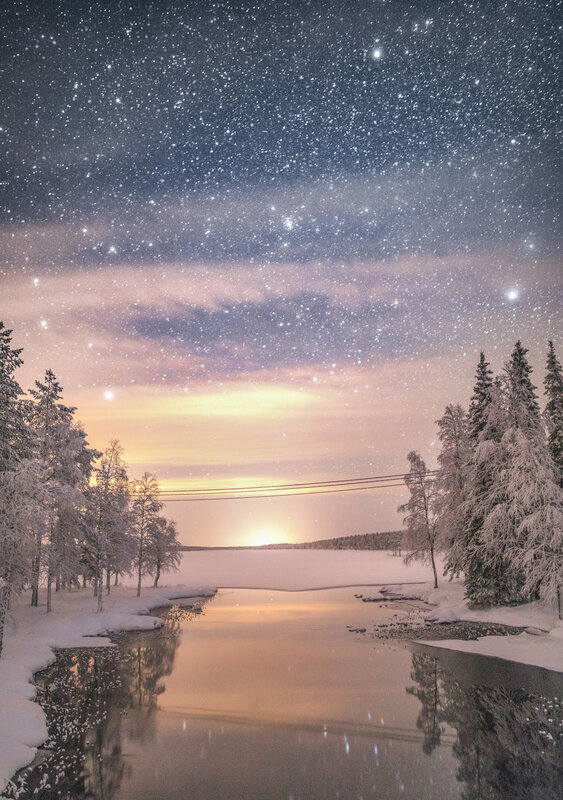 Nights are filled with full moon light, which gives a crisp blue tone on the snow. During our stay moonset is around the same time with sunrise. 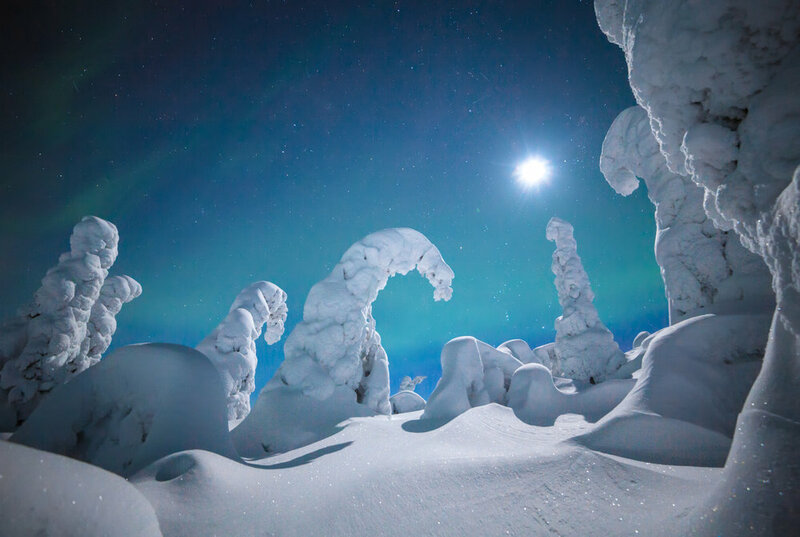 Imagine the compositions with ancient snowy giants together with reddish full moon! for over 8 years now. The way to move around here in wintertime is with a snowmobile and that’s also our way during the excursion. Her years of experience from the area takes us off the beaten track to find the best locations. Besides the famous photography locations we have access to private cabins and untouched forests and swamps of the area. 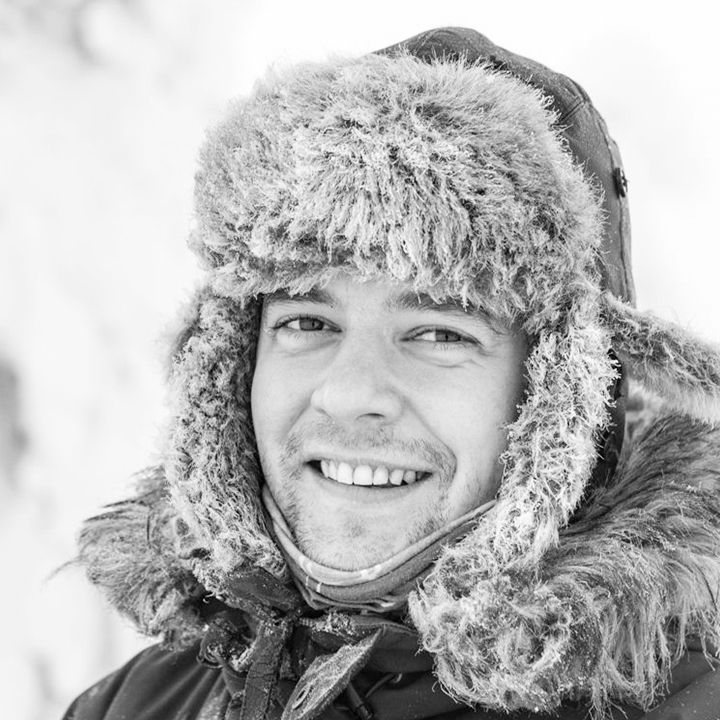 Antti is a professional guide originally from Muonio, West-Lapland. Antti has been working in tourism for over 15 years now. 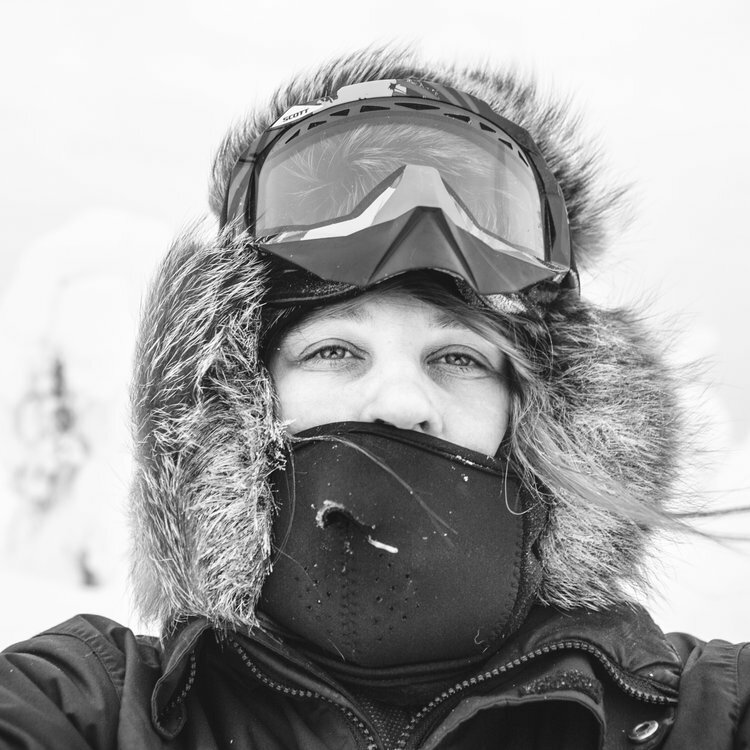 Moving around and operating in freezing temperatures is an everyday thing up here in the north. During the excursion you have two local guides at your disposal. Instead of using a third party snowmobile company you get to join us on the trips. 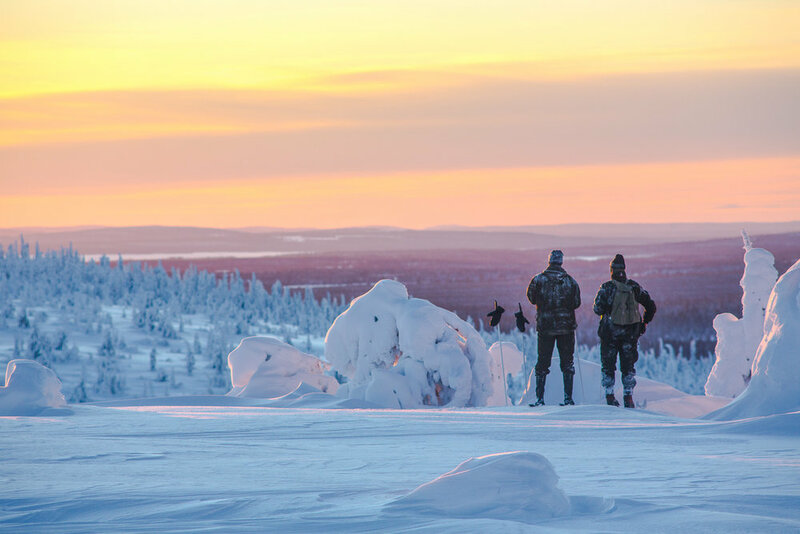 Transfer to Kuusamo and check-in at Oivangin lomakartano, welcome info and dinner. 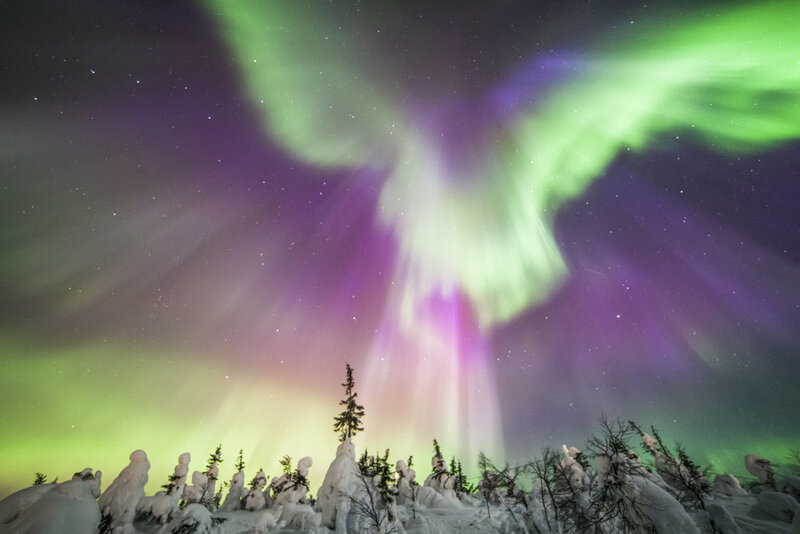 The northern lights watch begins after dinner. Our itinerary is not fixed due to changing light conditions. Snowshoes, car and snowmobiles with sleighs are in our disposal throughout the stay. Riisitunturi is the true winter wonderland! A fell filled with snowy giants. During the trip we spend couple days and evenings in this area. 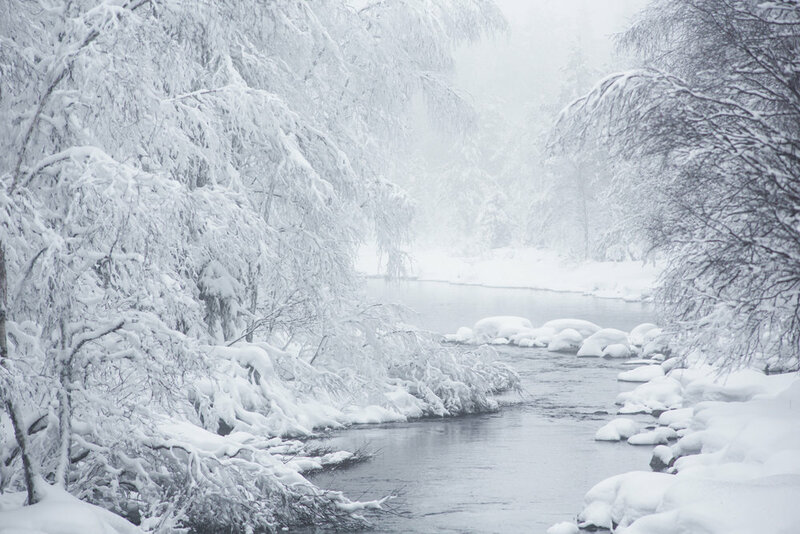 Myllykoski rapid in Kitka river has the famous ice circle during winter months. Myllykoski area consists of half-open river, old mill and a hanging bridge. 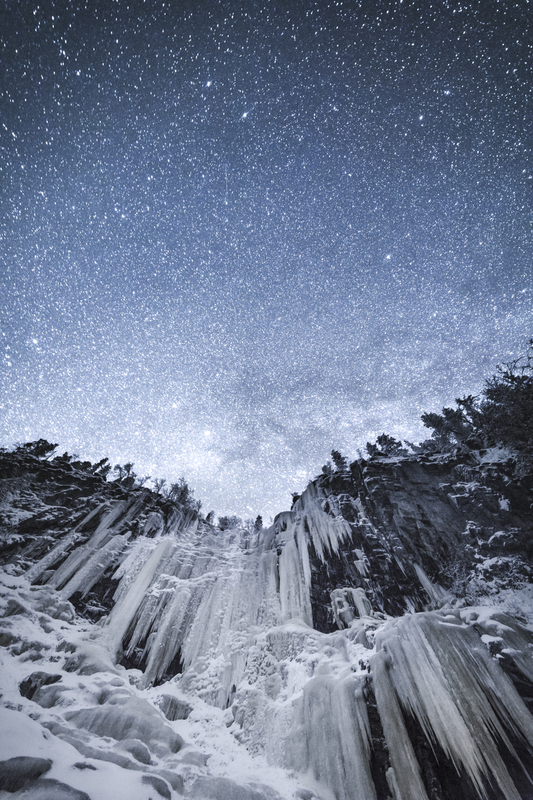 Combination between running water, stones, snow and ice are optimal for long exposure photography. You can easily spend a day photographing Myllykoski. Area is less than a kilometres walk from the road. We’ll enjoy picnic lunch with traditional blackpot coffee and tea made by fire. photographing Korouoma Nature Reserve - a paradise of ice falls. Korouoma is a millions of years old fracture valley in the bedrock. At the center of the valley, it forms a magnificent gorge that drops over a 100 meters below its surrounding terrain. During the trip you can expect total 3km snowshoe trip. The beauty of Korouoma waterfalls is revealed in moonlight. In addition to the famous photography spots we offer a multitude of locations only accessible to locals. Posio area is not that well known to photographers but it offers several locations in the middle of nowhere. Untouched swamp areas are perfect for evening and night photography. Swamps usually have open little open ditches which creates interesting shapes and lines in the snow. Single trees spread along the swamp are perfect portraits against the starry skies. Swamps are reachable by snowmobiles and once you’re on the spot snowshoes will do the trick. You can easily spend hours going through the area looking for compositions and getting creative. Water resistant thermal boots. It is very important that they are not too tight, boots that are a little loose will be warmer than tight boots.We recommend boots made for cold conditions such as Muck boots Arctic pro or Kamik Goliath 1. Most of the locations are 100 % accessible by minibus,however, you may be expected to walk 1-5 km with snowshoes in 20-50cm snow depths. This can be surprisingly tiring, and moving around with winter gear can be exhausting and a little sweaty. If you are in any doubt, please consult your doctor. You may also talk to one of our staff to check if the trip will be the right physical level for you.